The magnet made from rare earth is not a new technology. It was developed by scientists as early as 1982. Its official name is “NdFeB strong magnet”. The method is to extract Nd, Fe, and B from rare earth to form the metal body and then turn on current to magnetize. 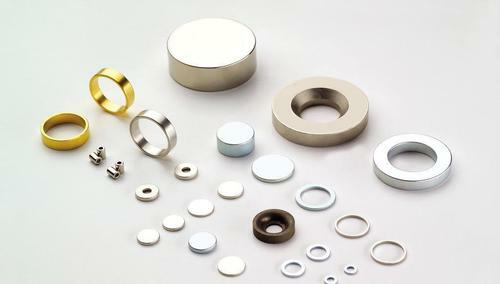 The neodymium magnet is the most powerful magnet at present, and the loss of magnetic force is very slow, almost reaching the effect of the permanent magnet. Neodymium magnets are now widely used in computer hard drives, Halbach array, mobile phones, eardrums, speakers, and battery-powered electronic products. Permanent magnets recycle means the extracting the rare earth elements from the magnets again. However, it is very hard and expensive. The scientists of the Fraunhofer Project Group for Materials Recycling and Resource Strategies IWKS in Alzenau and Hanau of the Fraunhofer Institute for Silicate Research ISC are now pursuing a different approach to recycle the entire material instead of trying to regain each individual type of rare earth. Because the composition of the material is already almost as it should be, this process only needs a few steps, and this is much easier and more efficient. 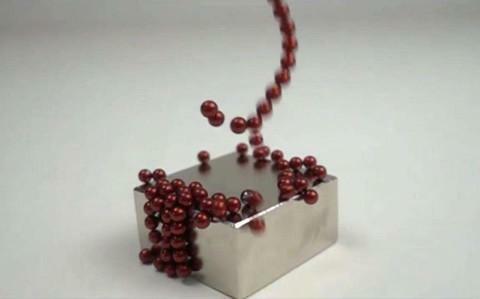 The researchers liquefy the magnet in a melting pot. The liquefied material, heated to more than 1000 degrees Celsius, is directed via a nozzle onto a water-cooled copper wheel that rotates at a speed of 10 to 35 meters per second. 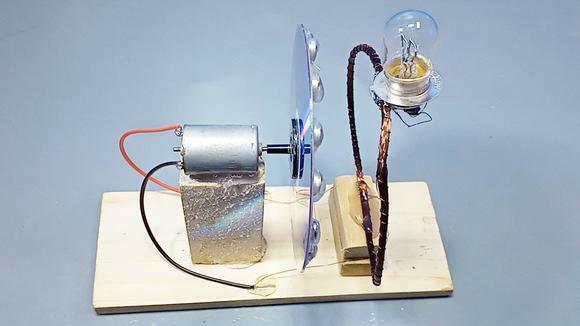 As soon as the melted droplet comes into contact with the copper, it transfers its heat to the metal within fractions of a second and solidifies. The scientists call the emerging material formations “flakes”. The special feature is the structure formed inside the flakes. If the melted material were allowed to solidify in the normal way, the atoms would “line up in rows” in a crystal lattice. In the melt spinning procedure, however, crystallization is avoided: Either an amorphous structure is formed, in which the atoms are completely irregularly arranged, or a nanocrystalline structure, in which the atoms arrange themselves in nanometer-sized grains to form a crystalline structure. If the price of rare earth elements continues to go up, magnet recycling will be more cost-efficient and recycling permanent magnets from wind turbines and electric motors will be popular. Now they have already set up a demonstration plant and have managed to recycle magnets there. This demo system can process up to half a kilogram of molten material and is somewhere between a lab and a large-scale plant. In many cases, the rare earth magnets are extremely difficult to remove from the engines. So the potential ways of creating a collection cycle for used engines, and also of a design more suitable for disassembly is what the scientists want to develop. 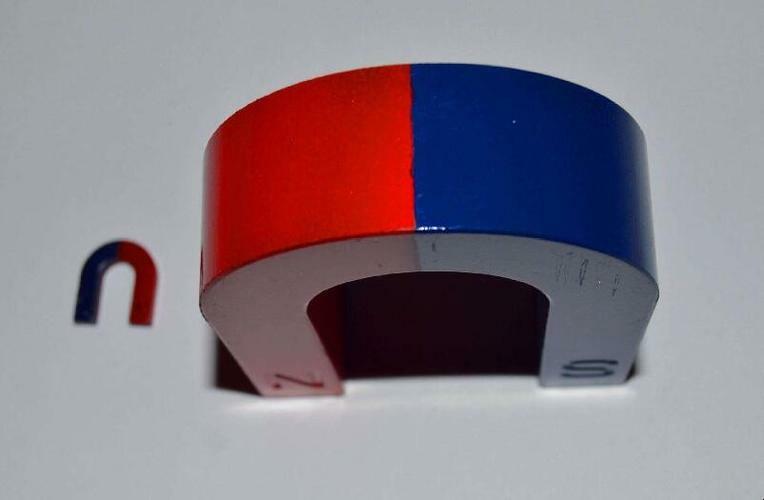 High-performance of rare earth magnet refers to high magnetic energy products or combination property of the coercivity & magnetic energy products in the conventional sense. Currently, the development degree of the high-property rare earth magnet is influenced by the demand of the application industry. SmCo magnet and NdFeB magnet both belong to rare earth magnet family because of the Sm, Co, Nd, B, Dy, Ga elements in their composition. They are the strongest type of permanent magnets available, producing significantly stronger magnetic fields than other types such as ferrite or alnico magnets, for SmCo has magnetic energy product about 15 – 30MGOe and sintered neodymium magnet has about 27- 50MGOe. 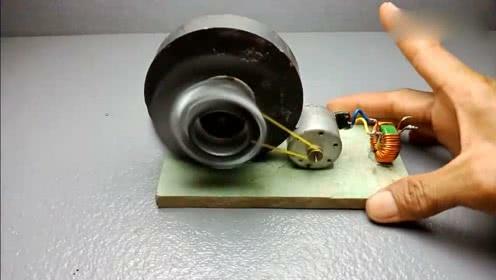 The constantly upgraded motors in the new era ask higher coercive force. So the higher working temperature and coercive force can ensure the strong ability of anti-demagnetization. 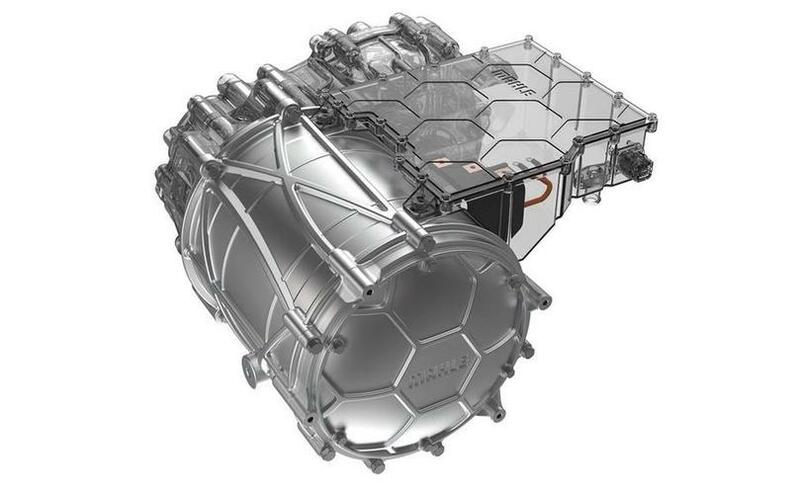 For example, because of high transient load, the drive motor in the new energy automobile have the critical requirement on the magnet coercive force. Is the high corrosion magnet the future research direction? To ensure that the electric car can still run after going through more than 20 kilometers cold summer heat, there are many aspects need to research, such as magnetic property, relative physical performance and reliability working life. So in the premise of guarantee the basic magnetic performance, to prolong rare earth magnet’s using life is one of the current and future permanent magnet development direction. What are product homogeneity and the relationship with magnetic declination? 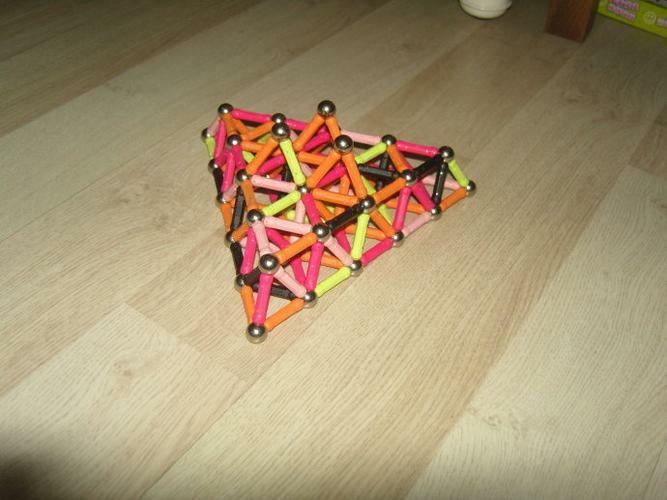 Magnet module homogeneity is related to the current stability when the motor output. 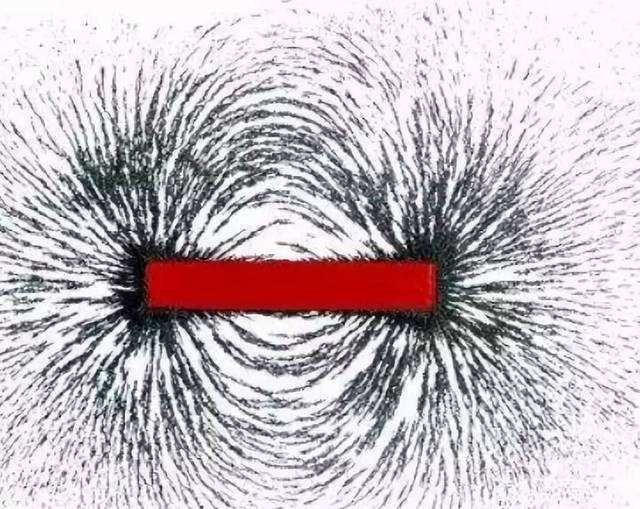 With bad homogeneity, distribute unevenly magnetic field will cause motor vibration. There are lots of influence factor caused magnetic declination; one is homogeneous materials, the other is uniform magnetization, and some process like magnet perpendicularity is also a factor. What is the highest working temperature for sintered neodymium magnet? At moment, no neodymium magnet can meet 300℃ working temp. Actually, the working temp. 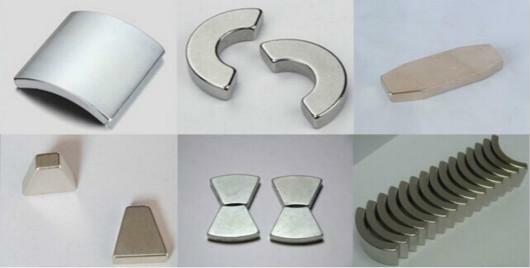 of neodymium magnet depends on its operating environment. Take the drive motor in the new energy automobile for example again, the heat resistance requirement of this drive motor magnet, whether 180℃ or 200℃, rests with the power of the engine. And in actual production, it’s necessary to leave some space to keep its temperature stability by choosing higher working temp magnet than originally working temperature. By this reason, some company will request 220℃ magnet. Which magnet performance has an impact on motor power and speed? It’s a simple structure, small volume, lightweight, low loss and high efficiency of rare earth permanent magnet rotor. So motor power speed is often about magnetic force.